Do workers view you – the safety pro – in a positive way? This is what a guest at a party said to John Babcock, senior safety engineer for the International Space Station, after he told the guest what he did for a living. The partygoer worked at a local manufacturing plant and said “everyone” from the safety office at his workplace always tried shutting down the production line. As he has done in similar situations, Babcock defended his profession. “I don’t know if I actually changed his opinion of safety professionals, but at least I had a chance to explain that all of us aren’t out to destroy production,” he said. “It seems that every ‘old timer’ has a story of a ‘safety cop’ walking in and shutting down a production line for minor infractions, simply to show everyone there that they have the power to enforce all the rules,” Babcock said. As a result, safety workers need to be aware at all times of how they are perceived. “Once anyone in safety gets a label of being unprofessional, it is very difficult to change [that] attitude,” he said. 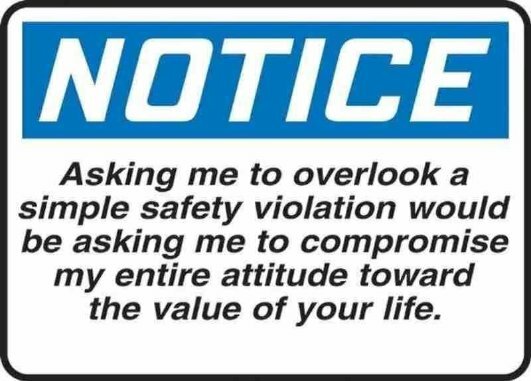 One of the worst ways a safety professional can demonstrate the “safety cop” label is by being “confrontational and look for ways to criticize or stop work,” Babcock said. Environments where people are labeled “safety cops,” create fear and reduce safety participation, said Mark Griffin, professor of organizational psychology for the School of Psychology at the University of Western Australia. “Compliance might increase but hazard awareness, looking out for others and innovation can decline,” he said. Griffin said his research has found that safety professionals and programs that only emphasize compliance may have a positive effect on an organization’s violation rate, but other safety behaviors such as self-reporting, collaboration and educational program participation may decrease. If someone wants to be known as a safety “professional,” Griffin said, he or she should provide context when issuing sanctions and ensure those processes are fair. 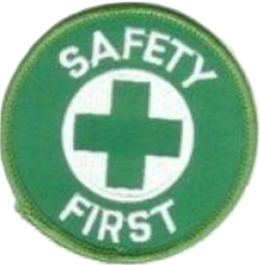 Make safety a regular topic of informal conversations and formal events. Ask workers’ opinions and regularly seek input. Accept constructive dissent as a positive step. Avoid blaming workers and focus on learning when discussing errors. Ensure safety messages show support and concern for workers’ welfare. The best approach to overcoming a “safety cop” label is to “calmly explain the safety aspect of your observation and point out any violations of the company’s safety plan,” Babcock said. This explanation should include how you only want them to be safe and do not intend to interfere with their work. “Unless there is an immediate threat of harm, wait until the person has finished whatever task they’re doing and then discuss safety,” he said. Ruth L. Kaminski, assistant controller, human resources director and safety compliance for Auburn, MA-based Spear Management Group Inc., said it helps to make workers feel as though the safety professional is on their side. “I find if they realize at the onset that you are there to help them, or make them safe, and you are doing a job, they are not as defensive,” she said.